Hey CB readers! Sorry I was MIA last week... I have been dealing with a very cranky, teething baby! Amelia got her first TWO bottom teeth in less than a week! Needless to say, I was exhausted and had no energy to blog. 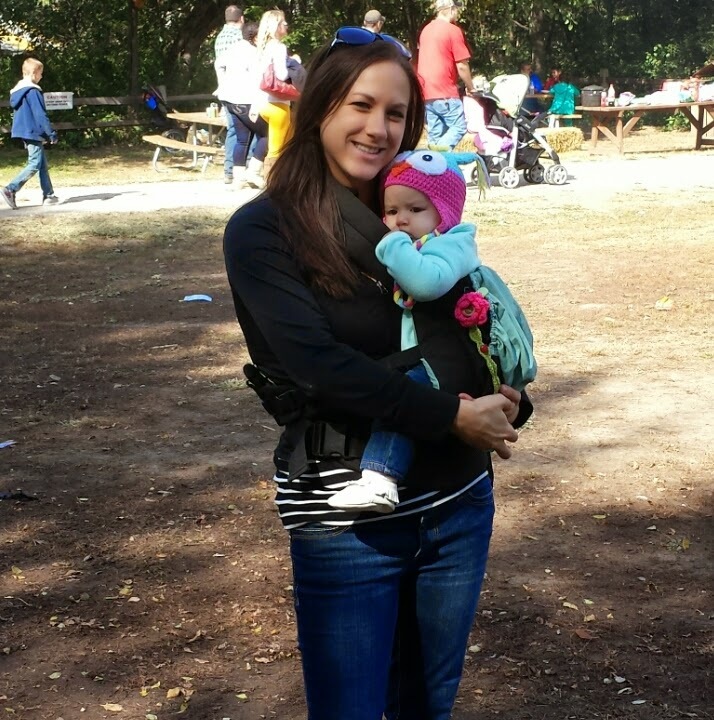 We did, however, manage to make it out of the house on Sunday for our yearly trip to the local pumpkin patch! 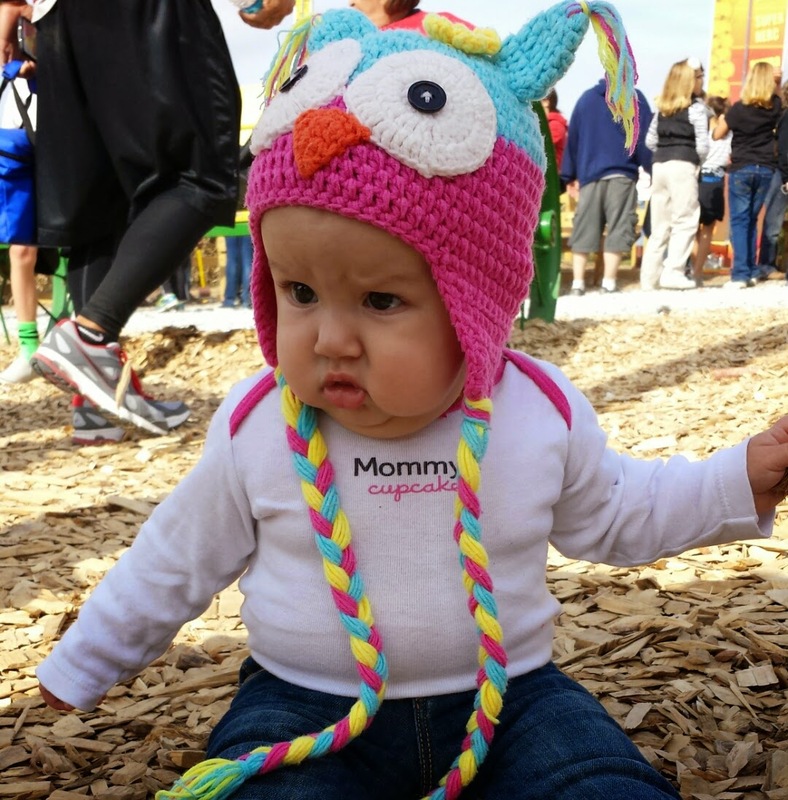 I don't know about where you live, but Omaha has a pretty amazing setup at Vala's Pumpkin Patch. It is fun for the whole family and you can spend all day there and still not see everything. This is the closest thing we have to an amusement park, which means that the whole city visits in the span of a month... It's crowded, but it is SO worth it! We are fortunate enough to have our Vala's trip paid for by my stepmothers work! They have their annual company picnic at a campsite on the grounds and we take full advantage of roasting hotdogs and marshmallows by the fire pit while checking out the sights! I LOVE the smell of bonfire smoke, but hate it the second I leave. Do any of you feel that way too? 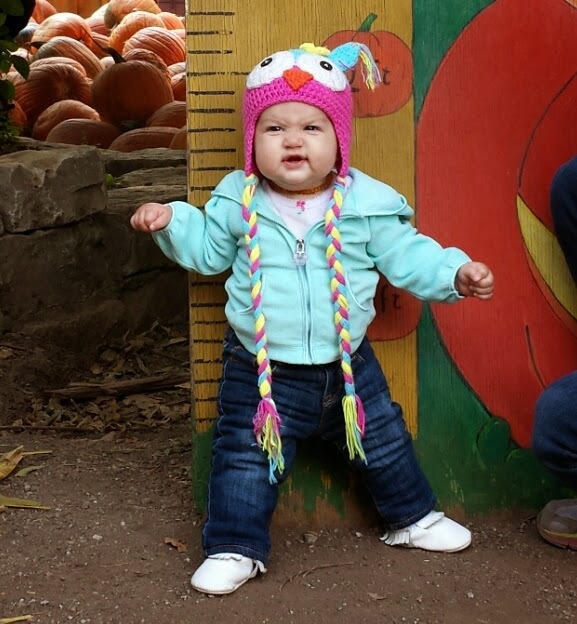 As you can tell by the above picture, Amelia still wasn't feeling 100% for our outing. Thankfully, we still had the Ergo we borrowed from a friend and she stayed attached to me most of the trip. 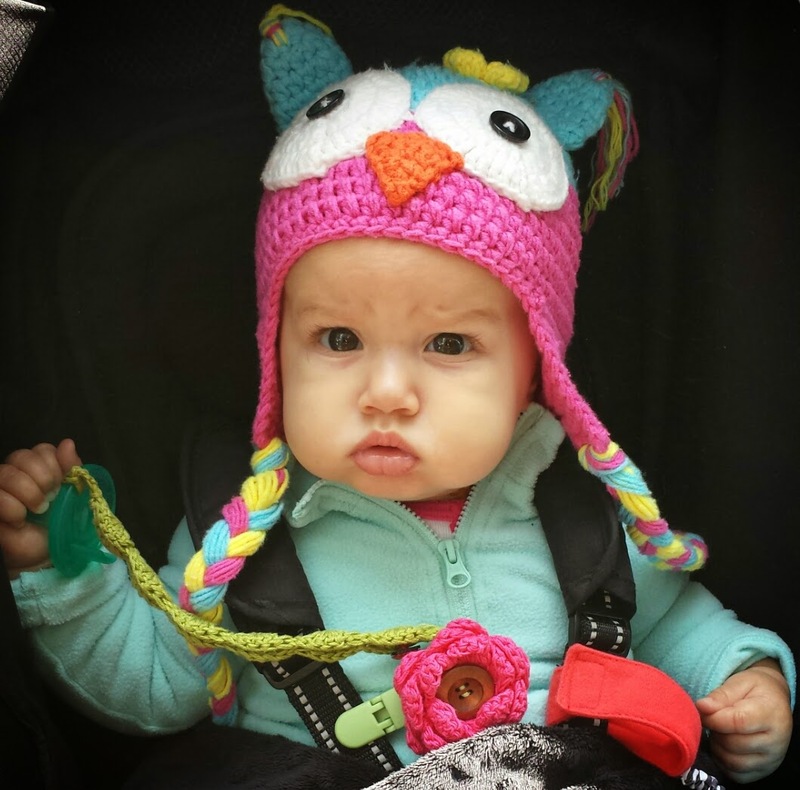 I did bring along the stroller just in case she would use it... but this is how she feels about her stroller while teething. This picture was taken right before full-on-meltdown mode hit. 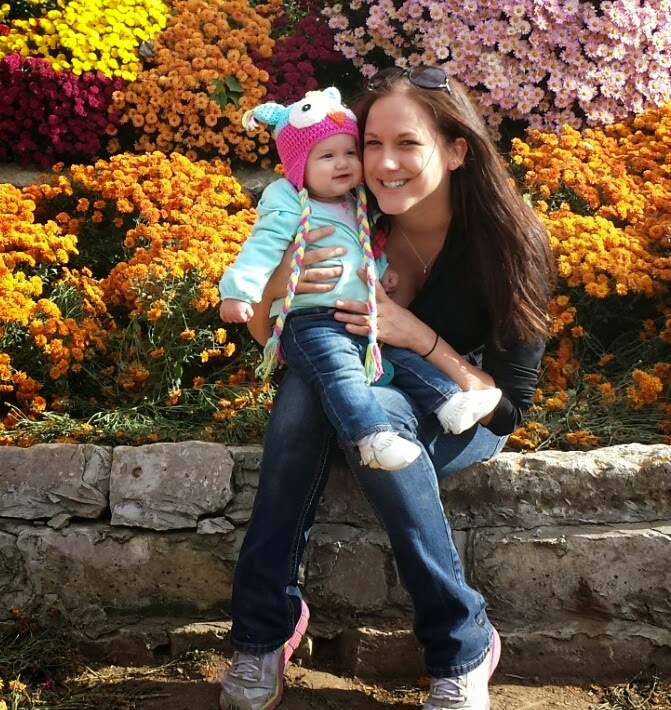 She may be cute, but this girl can throw a tantrum with the best of them! The stroller did come in handy as it carted around all our coats (it got up to 65 degrees while we were there! ), beverages, diaper bags and all our goodies we picked up along the way. 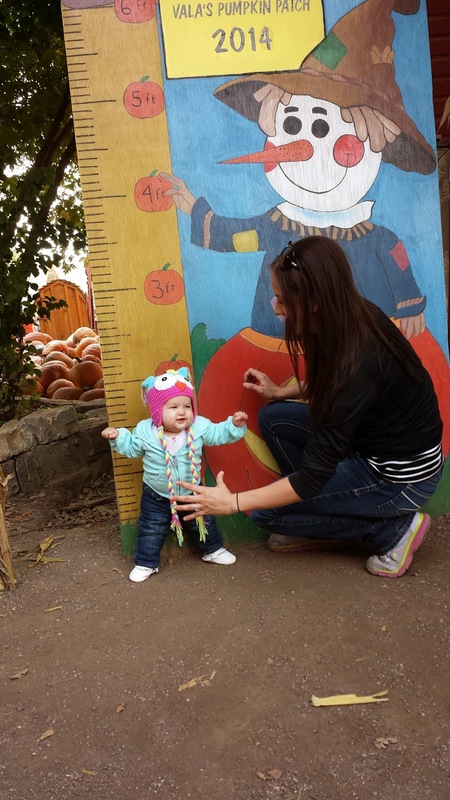 Taking a picture in front of this growth chart has been a tradition in my family since before I can remember! There are pictures of me standing with my siblings and cousins as early as 1994 in front of this sign (I can't seem to find all our older family albums to see when the tradition began). Originally, I was just going to hold Amelia because she wasn't standing on her own yet, but Grandpa (my dad) asked me to set her down and hold her fingers to make it an "authentic" growth shot. Amelia decided that having an audience around was the perfect opportunity to stand alone for the FIRST TIME! This mama was a nervous wreck. I am still amazed that my dad manged to capture this huge milestone! I was in shock that she could stand alone, unsupported by my fingers. Amelia seemed to LOVE the freedom and attention. This is her latest "stinker face" as her dad so affectionately named it. She thinks she is so funny and loves to make everyone laugh when she smiles and scrunches up her nose. 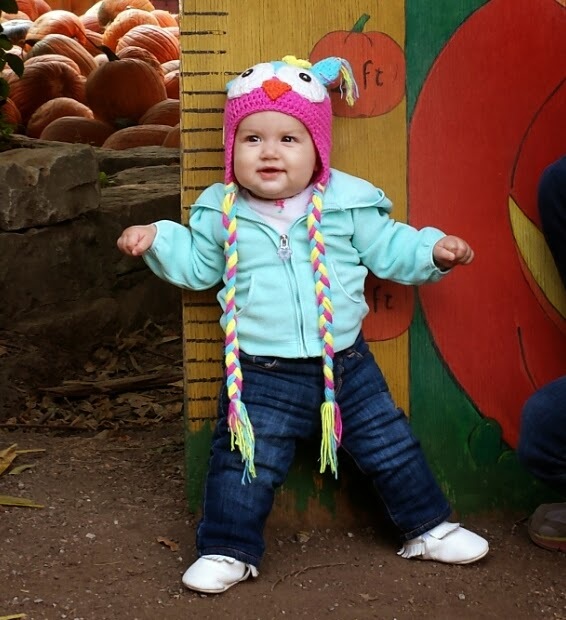 Our little shorty is standing just a hair above 2 feet tall... and loves her new standing trick! As of now, she is pulling herself up on EVERYTHING and standing with her bum supported against the wall. Where is time going? !